Clown Anemone Fish, originally uploaded by BlueBeyond. 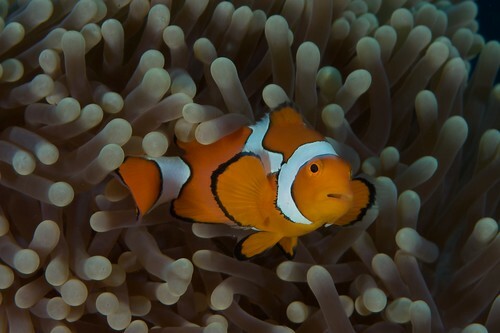 Clown anemone fish are one of several species of anemone fish living in a mutualist form of symbiosis with anemones. Found throughout the tropical indo-pacific areas, these little critters are colourful and very photogenic. This one was found on the house reef at Tawali, in PNG’s Milne Bay Province.